In our laboratory, we seek to use compounds isolated from nature, or natural products, for drug discovery and the development of dietary supplements. We blend the science of medicinal chemistry and synthetic organic chemistry through the use of natural products chemistry, natural product synthesis, and the design of structural analogues for structure, activity investigations. We are also developing novel synthetic methods to modify complex organic molecules and to install flourine. We aim to design drugs for patients with diseases that have no or few existing treatment options using natural products as the initial inspiration for discovery. We are actively studying natural products and novel structures for use in drug-resistant cancers, neurodegenerative disorders, addiction and addiction-related behavior, and other disease-states. The direct modification of the structure of natural products is the strategy we take to understand the relationships between the molecule and its biological activity. David A. Colby is an Associate Professor of Medicinal Chemistry in the Department of BioMolecular Sciences. He earned a Pharm.D. (with honors in pharmacy and with distinction) from the University of Iowa in 2001. He completed a Ph.D. in Organic Chemistry from the University of California at Irvine in 2006. 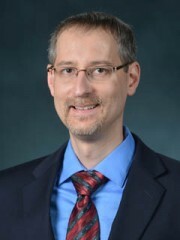 Dr. Colby completed postdoctoral studies at the The Scripps Research Institute in 2008 and joined the faculty at Purdue University as an Assistant Professor in the Department of Medicinal Chemistry and Molecular Pharmacology with a joint appointment in the Department of Chemistry. In 2014, Dr. Colby moved to the University of Mississippi as an Associate Professor of Medicinal Chemistry in the Department of BioMolecular Sciences. He also holds the appointment of Research Associate Professor in the Research Institute of Pharmaceutical Sciences in the School of Pharmacy. Dr. Colby’s research interests are medicinal chemistry, natural products chemistry, organic synthesis, fluorine chemistry, drug design, and dietary supplements.